NuVet Plus® provides a synergistic formula of antioxidants, amino acids, vitamins, minerals, and more to optimize the health and development of puppies and young growing dogs. Synergistic formula includes antioxidants, amino acids, vitamins, minerals, & more! Produced in a registered FDA (human- grade) manufacturing facility following GMP standards. Natural, human grade ingredients. No artificial flavorings. Contains real chicken liver that is paddled dried using a patented process to preserve its Omega Fatty Acids. Never heat treated – cold processed, which retains the rich nutrients found in each ingredient. 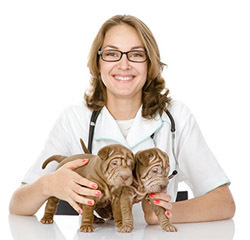 Veterinarian recommended and pet owner approved since 1997. Vet recommended, NuVet Labs has designed a precise combination of human-grade, natural ingredients to help fight disease at the source, by combating the ravages of free radicals and stimulating immune system function.